UEFI, or Unified Extensible Firmware Interface, a replacement for the traditional BIOS, is a core and critical firmware component of a computer, which links a computer's hardware and operating system at startup and is typically not accessible to users. According to the ESET researchers, the LoJax malware has the ability to write a malicious UEFI module into the system's SPI flash memory, allowing BIOS firmware to install and execute malware deep inside the computer disk during the boot process. "This patching tool uses different techniques either to abuse misconfigured platforms or to bypass platform SPI flash memory write protections," ESET researchers said in a blog post published today. First spotted in early 2017, LoJax is a trojaned version of a popular legitimate LoJack laptop anti-theft software from Absolute Software, which installs its agent into the system's BIOS to survive OS re-installation or drive replacement and notifies device owner of its location in case the laptop gets stolen. According to researchers, the hackers slightly modified the LoJack software to gain its ability to overwrite UEFI module and changed the background process that communicates with Absolute Software's server to report to Fancy Bear's C&C servers. 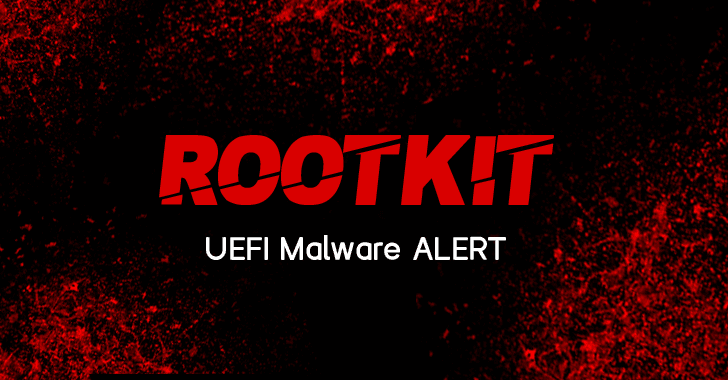 Upon analyzing the LoJax sample, researchers found that the threat actors used a component called "ReWriter_binary" to rewrite vulnerable UEFI chips, replacing the vendor code with their malicious one. "All the LoJax small agent samples we could recover are trojanizing the exact same legitimate sample of the Computrace small agent rpcnetp.exe. They all have the same compilation timestamp and only a few tens of bytes are different from the original one," ESET researchers said. "Besides the modifications to the configuration file, the other changes include timer values specifying the intervals between connections to the C&C server." Also, one of the CIA documents leaked by Wikileaks last year gave a clear insight into the techniques used by the agency to gain 'persistence' on Apple Mac devices, including Macs and iPhones, demonstrating their use of EFI/UEFI and firmware malware. "The LoJax campaign shows that high-value targets are prime candidates for the deployment of rare, even unique threats. Such targets should always be on the lookout for signs of compromise," researchers wrote. 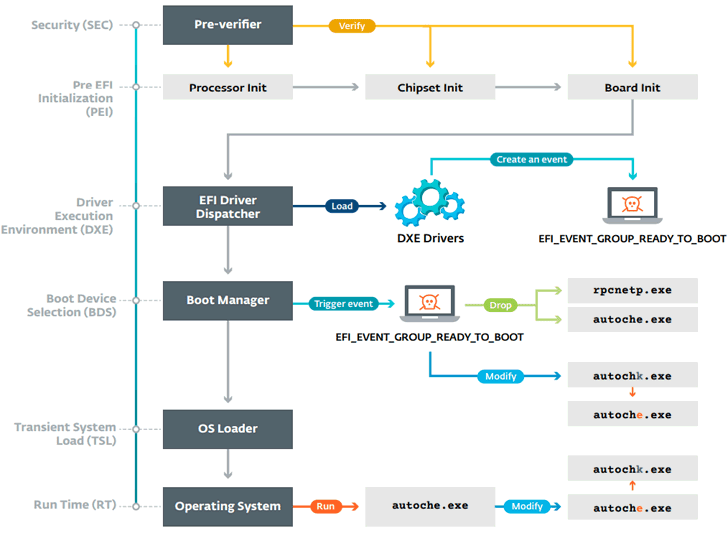 For more in-depth details about the LoJax root, you can head onto a white paper [PDF], titled the "LoJax: First UEFI rootkit found in the wild, courtesy of the Sednit group," published on Thursday by ESET researchers.